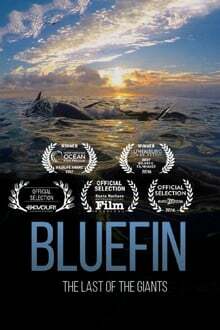 Bluefin is a tale of epic stakes set in “the tuna capital of the world.” In North Lake, Prince Edward Island, filmmaker John Hopkins tries to shed light on a baffling mystery: normally wary bluefin tuna no longer fear humans, and no one is quite sure why. Astonished Island fishermen and scientists offer conflicting explanations for the bluefin’s puzzling behaviour. One thing is certain: this great resurgence of gigantic tuna flies in the face of scientific assessments claiming that endangered stocks are down by 90 percent.